Wake Forest coach Danny Manning kicked off his 2019 recruiting class today, landing top 150 forward Ismael Massoud. Massoud, a 6’8, 200 pound wing from the Bronx New York is currently ranked at number 125 in the country. Known primarily for his shooting Ismael brings size and ability to the wing and if he’s able to put on some weight, could possibly become a hybrid type forward or stretch 4. Manning, who is entering his fifth year in Winston-Salem, continues to land high level recruits year after year. In 2018 he is welcoming one of the best recruiting classes in the ACC headlined by forward Jaylen Hoard. 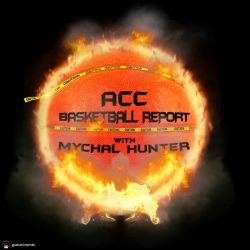 Next PostNext ACCBR Asks: Who is the ACC’s best returning player?